In Henan province, authorities find yet another way to undermine religion: play on citizens’ greed to make them allies in repression. 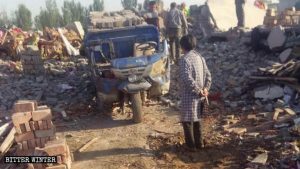 The authorities in Henan province in central China are intensifying their efforts to combat religious belief, offering large sums of money to reward those who demolish temples, and hiring others to smash and destroy statues of deities. 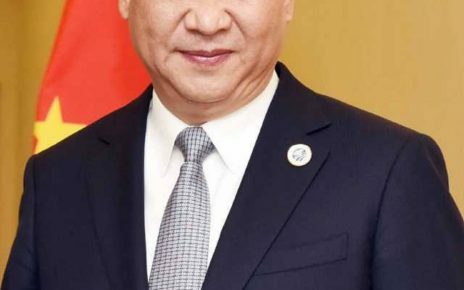 In December 2018, news media in mainland China published an article titled “500,000 RMB Reward! 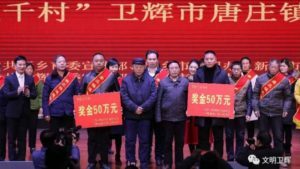 What Did These Two Villages in Weihui Do?” The article described a meeting to promote “moral exemplars,” with the theme “Feel the Party’s benevolence, obey the Party, follow the Party.” At the meeting, the villages of Renlitun and Tianyao each received a monetary reward of 500,000 RMB (about $74,000). What does “achieving outstanding results in changing prevailing habits and customs” mean? Some villagers in Tangzhuang town explained it to Bitter Winter. In late September, the government of Tangzhuang town, under the jurisdiction of Weihui city, held a meeting of delegates of the town’s National People’s Congress. The main topic of the meeting was the demolition of temples. 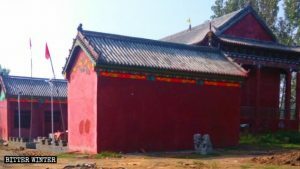 Government leaders demanded that the number of temples in each village be counted, and stated that a 500,000 RMB reward would be given to those who take the lead in demolishing them. If the task was carried out by every village, all the town government personnel would be rewarded. With the promise of a reward in hand, the village Party secretary of Renlitun village convened an urgent meeting of village Party members to carry out the task of demolishing temples. 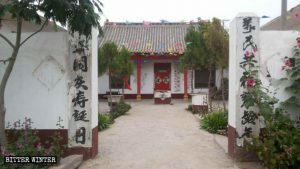 The original appearance of the temple in Renlitun village. Action was taken swiftly and decisively. After the meeting, the owner of a local Taoist temple received a temple demolition notice. The village Party secretary ordered the temple’s owner to move everything out from the temple, but the owner refused to do so. he temple in Renlitun village has been turned into a pile of ruins. At the same time, the village Party secretary warned the temple’s owner again: If you don’t move things out of the temple, the temple will be regarded as ownerless. That afternoon, the village Party secretary brought in an excavator to demolish the temple and arranged for more than ten people to stand guard outside the temple, prohibiting anyone from approaching. Two hours later, the entire building was turned into a pile of ruins. After the temple was destroyed, the town government convened a commendation meeting on December 12. Renlitun village became an exemplar of the “construction of spiritual civilization,” and received the temple demolition reward of 500,000 RMB. Rewards being given at the commendation meeting in Tangzhuang town. However, villagers in Renlitun village did not seem to recognize their village leaders as heroes. The temple had been built with the donations of local villagers. After it was torn down, the villagers voiced their discontent. “Now that the temple has been demolished, there isn’t anywhere to pray for blessings and peace,” one elderly villager said discontentedly. What local villagers are more worried about is that under the authorities’ promise of substantial rewards, people in every village will “create extraordinary results from their ordinary jobs.” In that case, all local temples will be at risk of being destroyed. The approach taken by another municipality in Henan province, Shaogang town, was more modest than the example from Weihui, but the results were just as effective. The original appearance of the Taoist Hongshan Temple. 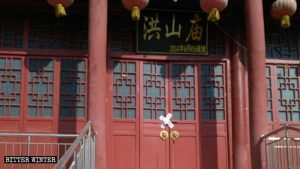 On October 31, Shaogang’s mayor showed up at a local Taoist Hongshan Temple and told its owner that the temple was going to be demolished. 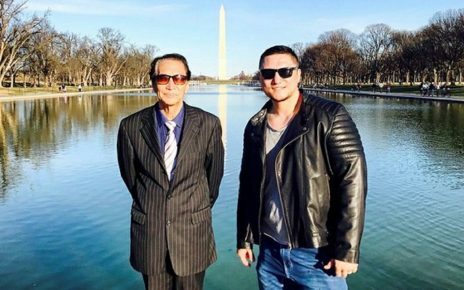 The owner argued with the mayor, saying, “This temple is hundreds of years old. It’s an ancient temple. Taoism and Buddhism are state religions. If the temple is demolished, wouldn’t it mean that there is no more traditional culture?” The mayor emphasized that demolishing the temple was an order given from the State Council, and no one could stop it. On November 2, the government sealed off Hongshan Temple. The door to Hongshan Temple has been sealed off with barricade tape. Two days later, local officials gave orders to start repainting the temple, which was met with strong opposition from villagers. During the conflict, government personnel pinned a woman in her eighties to the ground, causing her to sustain injuries. A pregnant woman was pushed to the ground, and she was taken to the hospital for treatment. On November 9, at about 9 p.m., two town government officials and a police officer brought six villagers to the temple and ordered them to destroy a deity statue measuring over three meters in height, leaving the statue’s shattered pieces all over the floor. Afterward, they cleaned up the broken fragments, leaving no trace behind. Reportedly, the local police spent 6,000 RMB (about $890) to pay the villagers to destroy the statue. The deity statue in Hongshan Temple before being destroyed. 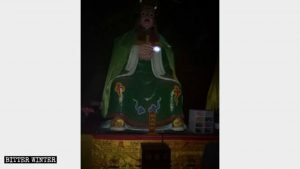 When the temple’s owner discovered that the statue was missing, he thought that it had been stolen, so he reported the case to the local police. Officers claimed that they do not handle such matters, and told the temple’s owner to contact the town government. The temple’s owner and local villagers suspected that the government was behind it, but they had no evidence. All they could do was seethe in silence. “Perhaps they feared that the situation would escalate and someone would die, and it would be hard to wind down, so the government secretly demolished the statue,” a local villager said. Shortly after that, a sign reading “Sanzhuang Village Cultural Activity Center for the Elderly” was hung on the temple. In this way, a cultural relic with a history of hundreds of years vanished without a trace. THE NEW RELIGIOUS AFFAIRS REGULATION CAME INTO FORCE IN 2018: WHAT EXACTLY HAPPENED?